After an excruciating seven film streak as the English spy, Roger Moore steps down to make way for Timothy Dalton to step into Bond’s shoes – and how! 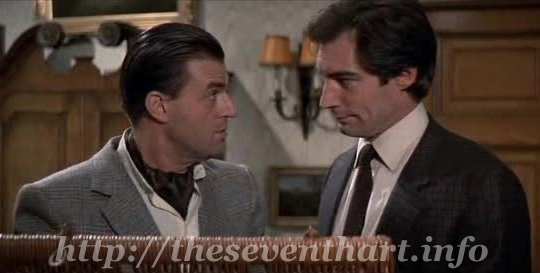 The Living Daylights is a real thriller that has Bond defending a Russian general Koskov who has defected and is under threat from the KGB. Bond succeeds at that but soon finds that he has been tricked and the defection was but an excuse to turn the MI6 organization against the KGB head Pushkin who, as per Koskov’s statement, has started a mission to put down prominent American and British secret agents. Koskov, meanwhile, is allied with the American arms seller Whitaker who is an admirer of tyrants and warlords. Bond along with Kara Milovy, Koskov’s girlfriend, also tricked by him, and a group of Mujahedins try to stop Koskov from getting a huge amount of Opium out of Afghanistan and in turn get ammunition into the country. Timothy Dalton is one of the most underrated and least spoken about Bond. Even the one hit wonder Lazenby is praised often. Though not as handsome as Connery or Brosnan, he sure can play the part effectively. The film, by the way, is one of the best Bond flicks and the stunts top all the earlier Bond films. The cracker of a climax where Bond fights in mid air is breathtaking even by today’s standards and thank god, no bad puns. The Afghan connection may raise a brow or two today.